Knox are no stranger when it comes to making armoured shirts. They designed their first one back in 1994, and 25 years of design changes and armour innovations have paid off. Brand new for this riding season, Knox introduces the Urbane Pro. The Urbane Pro is an armoured shirt that places the impact protection exactly where it should be: close to your body. 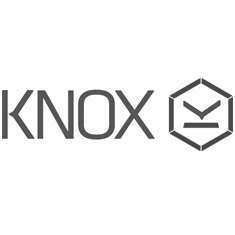 Knox have implemented their proprietary Micro-Lock armour in the shoulders, elbows and back. Micro-Lock armour is flexible and malleable no matter what temperature you're riding in, but instantly hardens upon impact and disperses the energy. The Urbane Pro does not just offer excellent impact protection, though: it is constructed using high tenacity stretch nylon and tough, breathable arrowmesh. Both of these fabrics were chosen for their abrasion-, cut- and tear-resistance. This means that the Urbane Pro passes the new CE regulations for motorcycle gear and is classified Level A. In other words: the Urbane Pro is all the jacket you need. Stretch mesh panels give the Urbane Pro added flexibility and comfort, and you'll soon forget you're wearing protective gear at all. It also makes this an ideal garment for riding in hot temperatures, with the mesh allowing airflow throughout. Getting a bit nippy? Wear your favourite jacket or sweater on top. Or your suit jacket. Or your pyjamas. The Urbane Pro will have your back whatever outer layer takes your preference. Knox have absolutely nailed it with the Urbane Pro and the protective properties, attention to detail and comfortable fit make this versatile garment one that any motorcyclist will enjoy. Especially when taking its attractive price point into consideration.